T&G Training are now accredited to deliver two brand new teaching and training qualifications from the CIEH. The new teaching qualifications are: Level 3 Award in Education and Training and Level 3 Award in Training – Principles and Practice. Both qualifications appear on the QCF and are accredited by the CIEH awarding body whose certification is recognised internationally. These qualifications are ideal for those who have just started a teaching role or who wish to become a company trainer. 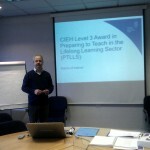 The Level 3 Award in Education and Training replaces CIEH PTLLS, is run over 5 days and is a highly interactive course culminating in practical teaching sessions and a short assignment. The Level 3 Award in Training – Principles and Practice is run over 3 days, again very interactive in nature and with practical teaching sessions and assignments that allow new trainers to confidently deliver training in a professional way. T&G Training are based in Northeast England and deliver courses in education and training, food safety, first aid and HACCP to national and international companies. 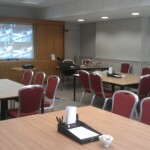 Call 01913000232 to book one of our courses or visit our website http://tandgtraining.co.uk/ for more information.